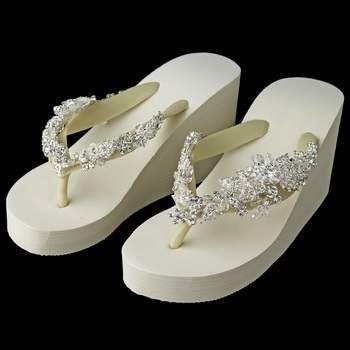 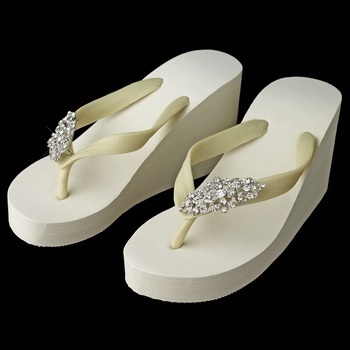 Reintroducing our new line of elegant high wedge special occasion bridal sandals/flip flops with more high quality straps made from suedene leather with double row crystal accents. This dazzling and very popular bridal flip flop is the perfect accent to anyone looking for a comfortable yet trendy alternative to wedding shoes. Whether worn to a destination wedding or an elegant event, you'll have happy feet! 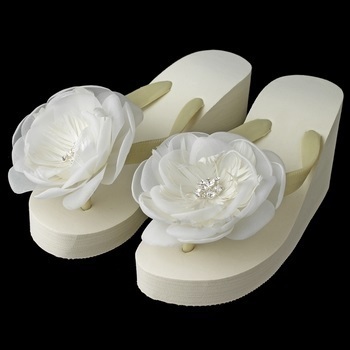 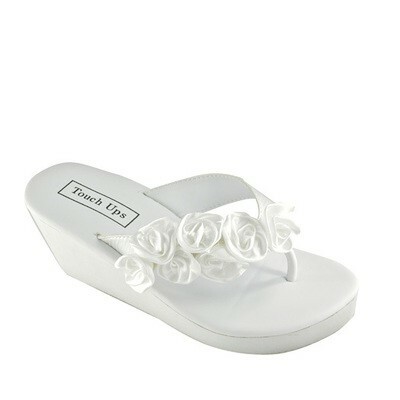 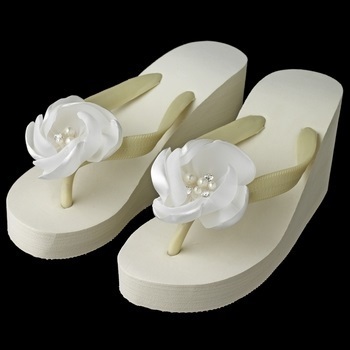 Many Ladies in the bridal party are choosing to purchase these flip flops and change into them at the reception for a comfortable and stylish alternative. 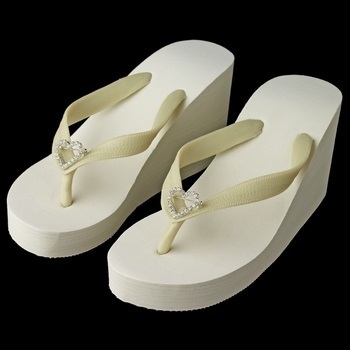 These flip flops are great since all the ladies can change into them and their gown wont drag on the floor. 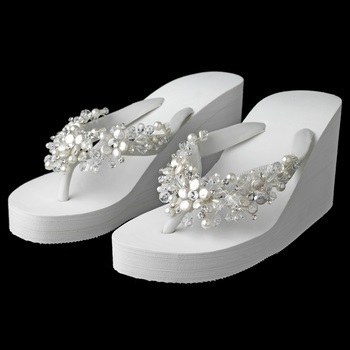 The best part is... You can wear them over and over again!